Kasey Trione and Lance Moore met over ten years ago at a Saints football game in New Orleans. 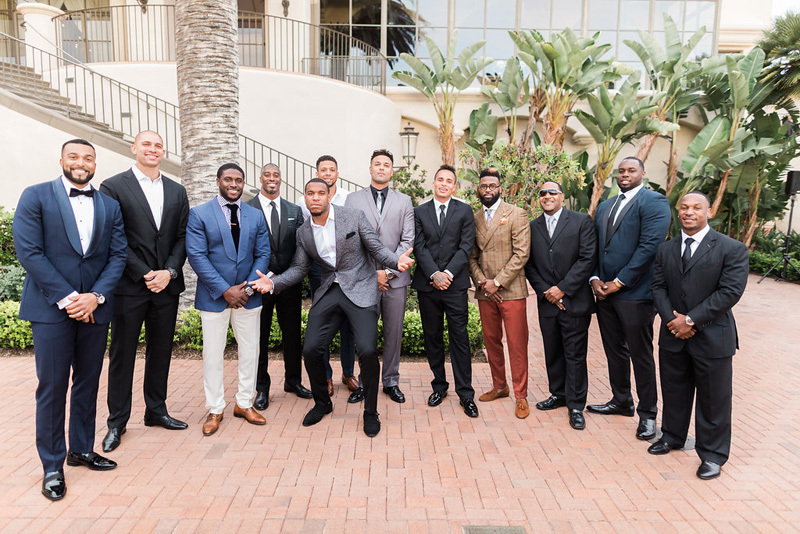 Their wedding celebration at Pelican Hill in Newport Beach was nothing short of exquisite, with a special appearance from their sweet daughter and flower girl, Graylee. A quintessential California wedding, the two married underneath the stunning Pelican Hill rotunda, with the smell of sweet florals in the air. Driven by an elevated modern aesthetic, A Good Affair used custom drapery inside the reception that created intimacy for this black-tie bash. 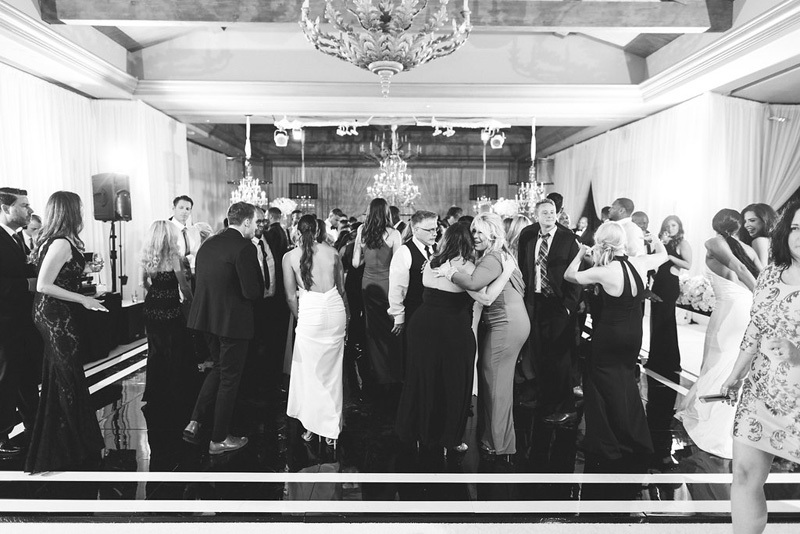 We incorporated dramatic up lighting, dance floor wash lighting, and pin spot lighting to complete the space, drawing the eye to all the beautiful details. Kasey and Lance asked their Elevated Pulse wedding DJ, Steve, to play a custom version of “XO,” by Beyonce for their first dance, which left every guest cheering. The sounds of Patrick Swayze, Jackson Five and Whitney Houston swirled throughout the room over dinner and cocktails, before transitioning to a mix of Migos and Future to Drake, Chris Brown and Kanye for a party that lasted well into the night. 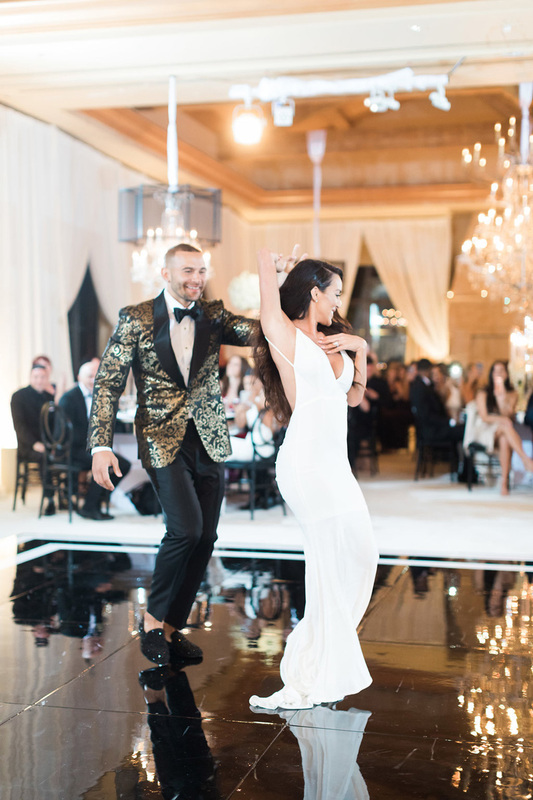 Read more as featured on Grace Ormonde Wedding Style.